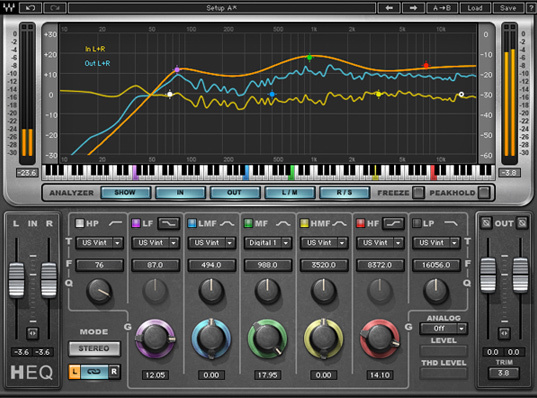 H-EQ, from Waves Audio, is a VST Plug-in Equalizer. H-EQ is a hybrid equalizer, it carries the features of modern and vintage EQ, inspired by popular American and British equalizer consoles. The Equalizer is an important tool for musicians and producers, it can help in adjusting the audio spectrum and can help in assigning specific instruments to it's preferred frequency spot in the mix. Different types of equalizers and filters give out different tones which have varying applications, which gives hybrid and multi- function equalizers an advantage in terms of efficiency.